After releasing the useful app for Symbian, iPhone, and WM phones, SPB Software has finally announced the release of an advanced skinnable alarm clock for Android smartphones – SPB Time. 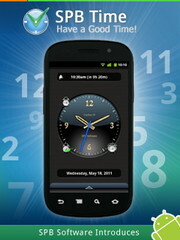 The popular bestselling alarm and clock application for Windows Mobile now comes to Android users. 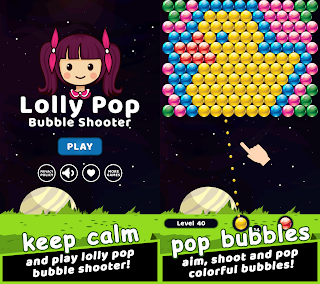 It has lots of useful time-related functions and an eye-catching user interface. With SPB Time Android users will have the variety of useful features together with the astonishing design. What makes SPB Time stand out is its alarm feature with the ability to wake up every single sleeper in a best possible way. Along with classic alarm that has over 20 tunes, it includes the Bio and Paranoid alarms. Those who prefer the gentle and natural way of waking up can choose the friendly Bio alarm to start the day with slight ticks, lights and calm sound of birds or water before the actual alarm time. It helps to wake up without any stress on the correct stage of sleep. There’s also another type of sleepers. They need a cold water tub to be poured on the face or the brass band playing into the ears to wake them up. Loud Paranoid alarm is for them: it suggests solving the puzzle and won't stop until it's done correctly. Those who still lack some extra minutes to sleep can snooze the alarm by shaking the phone. The users can enjoy the design of the application with its amazing effects: realistic looking 3D model of the Earth in the "World Time” feature or the countdown screen with the sandglass resembling the outgoing time with the pouring sand make the use of the application really enjoyable. Those who are keen on travelling will appreciate the “World Time” that allows to select many cities around the world to simultaneously monitor time zones. The customization opportunities complement the interface with the vast choice of time skins that can be downloaded from SPB Time skins gallery for free. Android users can select the clock appearance (digital or analog), hands, digits, alarm icons, and background. Stopwatch, calendar and moon phases are also included in the toolbox. Home screen widgets provide a quick access to all necessary SPB Time functions. SPB Time for Android is compatible with Android 2.1 smartphones and higher. The price of the application is 4.99 USD. First clients can get SPB Time for a special price with 60% discount if they make the purchase till 2011/06/07. For more information, please visit www.spb.com. 0 comments on "SPB Time, Useful Alarm and Clock App released for Android"